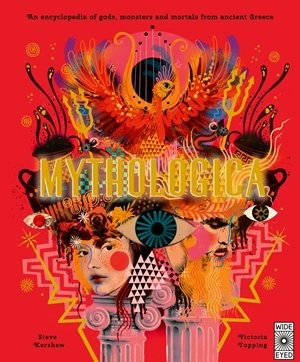 Mythologica, Steve Kershaw, illustrated by Victoria Topping, Wide Eyed Editions, London, 2019. 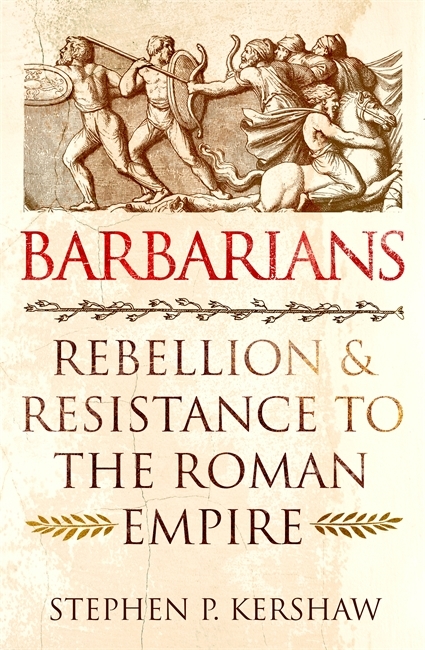 Barbarians: Rebellion and Resistance to the Roman Empire, Stephen P. Kershaw, Robinson, London, 2019. 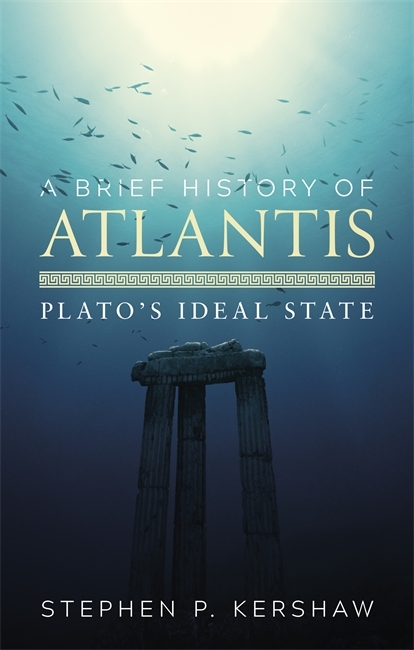 A Brief History of Atlantis: Plato’s Ideal State, Stephen P. Kershaw. Robinson, London, 2017. A Brief History of the Roman Empire, Stephen Kershaw. Robinson, London 2013. "The Concise Dictionary of Classical Mythology" is a distillation into brief form of the single source dictionary of ancient Greek and Roman myths and legends. In keeping with Grimal's original dictionary, first published in 1951 in France the concise version covers virtually all major characters, and eight genaeological tables present the principal complex relationships between gods and men. The entries concentrate on principal versions of each legend, and only the most significant variations are covered, in order to focus on the common core of classical literature. Brief definitions are cross referenced to short accounts of the main legends. A good understanding of mythology can greatly enhance our appreciation of ancient art and literature, not to mention the work of many later painters and writers. Drawing on every stage of classical mythology - from Achilles and Aphrodite to Jupiter and Juno - this acclaimed dictionary is ideal for both quick reference and more in-depth reading, and will delight anyone who loves dipping into the marvellous stories of the ancient world. • Includes comprehensive cross-referencing and geneaological tables which show the complex links between different characters and myths. Brilliantly distils and captures the essence of Greek and Roman mythology. It is the ideal reference tool for anyone with an interest in the Classics or those seeking to explore the many allusions to its mythology that abound in later literature. A uniquely authoritative yet lightly handled examination of the key tales in the corpus of Greek mythology. The book leads the reader through these vibrant stories, from the origins of the gods through to the homecomings of the Trojan heroes. All the familiar narratives are here, along with some less familiar characters and motifs. In addition to the tales, the book explains key issues arising from the narratives, and discusses the myths and their wider relevance. This long-overdue book crystallises three key areas of interest: the nature of the tales; the stories themselves; and how they have and might be interpreted. For the first time, it brings together aspects of Greek mythology only usually available in disparate forms namely childrens books and academic works. There will be much here that is interesting, surprising, and strange as well as familiar. Experts and non-experts, adults, students and schoolchildren alike will gain entertainment and insight from this fascinating and important volume. An accessible and comprehensive introduction to Classical history, myth and the ancient world. 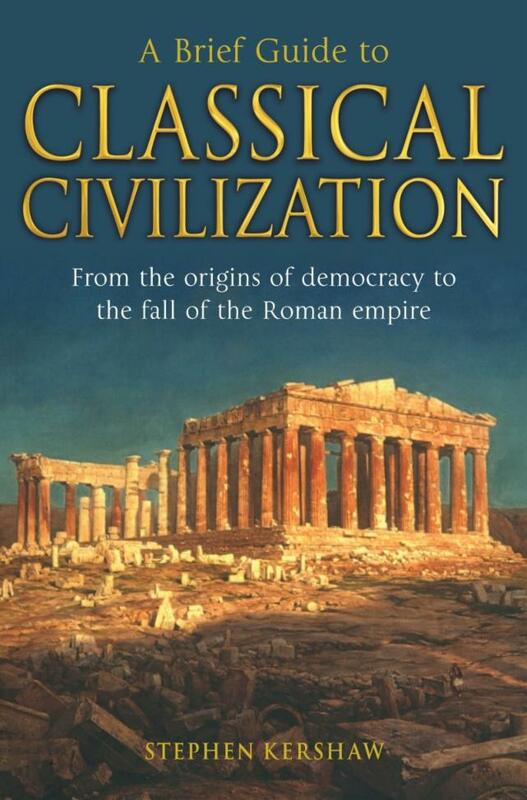 A general introduction to the classical world from its origins to the fall of the Roman Empire. The book focuses on questions of how we know about Classical civilization from archaeology and history; deals with the Mycenaean era and the world of Myth and Epic in Homer's Iliad &; Odyssey; gives an outline of Greek history in the 5th &; 4th Centuries BC; looks at Greek social life and the alternative model of Sparta, and considers the achievements of the Greeks in their art and architecture, tragedy and comedy. Turning to Rome, it engages with Roman history, the Roman Epic tradition, the fascinating features of Roman social life, analyses Roman satire, explores the urban environment in Pompeii and Herculaneum, and concludes with the End of Rome. Action-packed, reader-friendly history of the Greeks and Romans without the boring bits. Explains how the Greeks and Romans set out the foundations of our contemporary world from science and architecture to the writing on the dollar bill. 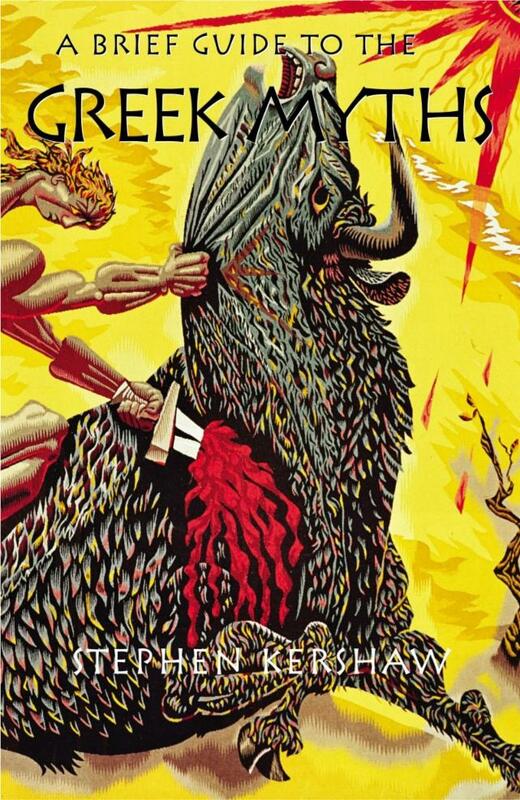 Stephen Kershaw is the author of A Brief Guide to the Greek Myths which has sold [well over] 5,000 copies. Strong cross-market appeal to student and general-interest readership, especially travellers/tourists. The epic story of the rise and fall of the greatest empire the world has ever known. This concise yet compelling narrative history of the Rom,an Empire covers 500 years, from its rise in 27 BC to the barbarian incursions and the fall of Rome in AD 476. It draws on a wide range of primary sources, from contemporary writers to recent archaeological finds, which often reveal day-to-day life in fascinating detail. Classics scholar Stephen P. Kershaw identifies the seismic events in Rome's rise and fall and provides wonderful portraits of its larger-than-life personalities - gladiators and charioteers, senators and slaves, wise and supremely dysfunctional emperors, fascinating women. He puts in context the might of Rome's armies and detail the bizarre sexual practices and grotesque brutalities that were the trademarks of this extraordinary empire. A new translation of two of Plato's dialogues, Timaios and Kritias, with commentary and critical discussion including an exploration of how the tale of Atlantis has been interpreted throughout history. The Atlantis story remains one of the most haunting and enigmatic tales from antiquity, and one that still resonates very deeply with the modern imagination. But where did Atlantis come from, what was it like, and where did it go to? A fresh new look at the Roman Empire, from the point of view of those regarded by the Romans as 'barbarians'. 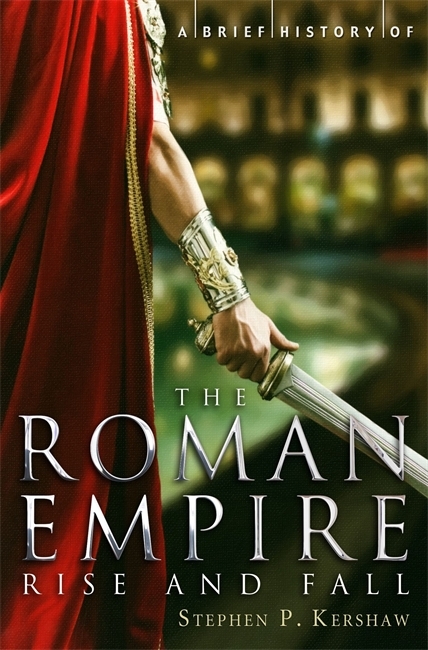 Kershaw builds a narrative around the lives, personalities, successes and failures both of the key opponents of Rome's rise and dominance, and of the those who ultimately brought the empire down. An illustrated encyclopedia of characters from Greek mythology, broken down into three key categories. Uncover the lives of 50 powerful gods and goddess, earth-dwelling mortals and terrifying monsters as we journey back in time to ancient Greece. From the fearless Athena and her meddlesome ways to the brave and bold Odysseus and his remarkable journey home, this is the perfect introduction to 50 of the most exciting characters of ancient Greek Mythology. Featuring full colour artwork from the brilliantly talented Victoria Topping and written by Dr Stephen Kershaw, prepare to be amazed as you uncover the epic, heroic and sometimes terrible lives of mortals, monsters and gods.